The menu: Everything we tried was extremely tasty, including crunchy fried-wonton-style pescadillas (don’t neglect their pickled red onions and green salsa; $4 for two); olive-oil-bathed sardines on Macrina bread (evocative of Spain, $4 each); and grilled octopus with tiny, tender potatoes in a smoky, subtly spicy, brick-red guajillo chili sauce (plenty for $10, the highest price on the menu). 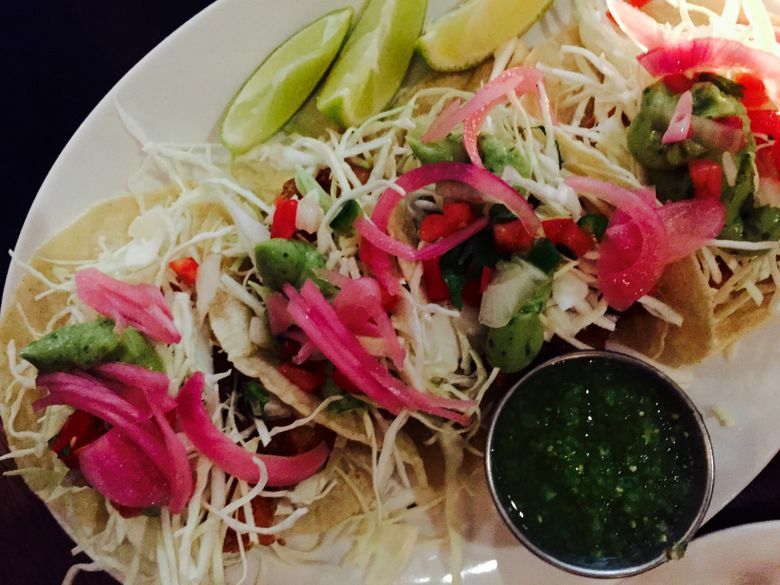 I’ve thought about these tacos more since I ate them than any food I’ve had in months. The setting: The simple, low-slung, shotgun-style room with its whitewashed ceiling is stylish, comfortable and vaguely evocative of a hacienda vacation. 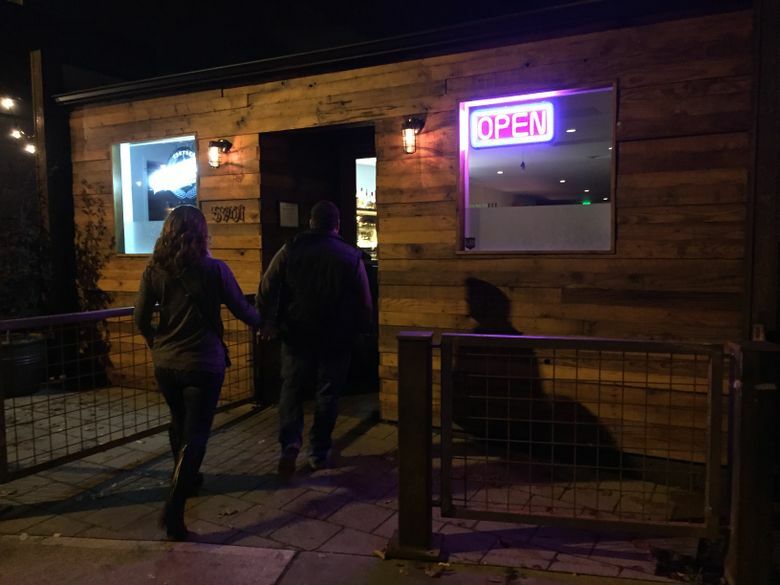 The back patio has a fire pit for these cold, dark evenings and the promise of sunny fun when summertime comes. 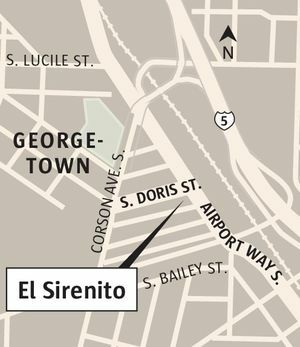 If something had to replace the Magic Wheels biker clubhouse — and in Georgetown these days, it was probably inevitable — at least it was El Sirenito. 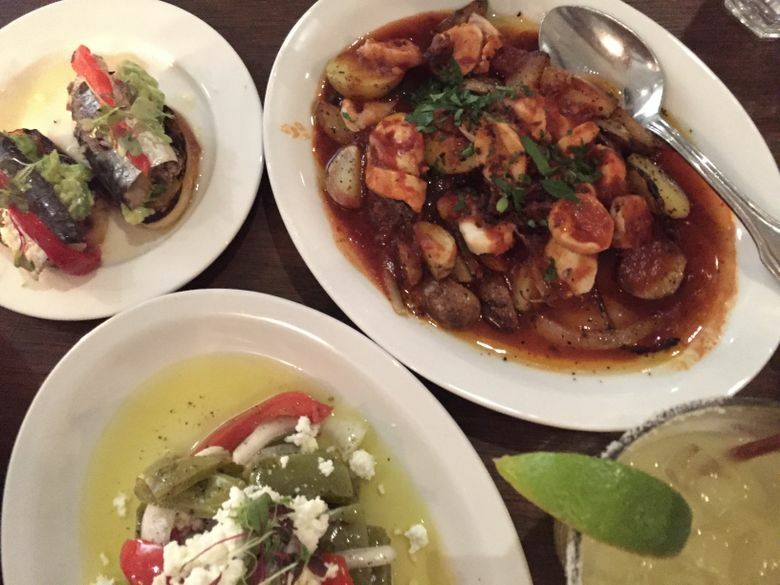 Summing up: Cactus salad, pescadillas, two sardine montaditos, two fish tacos, two shrimp tacos and pulpo a la parilla was more than enough for two and came to $39 before tax and tip.